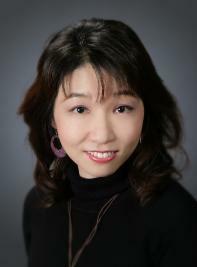 Kumiko Omura is a Japanese composer in the field of the contemporary music. She writes for both of instruments and electronic sound. composition at the Tokyo University of Fine Arts and Music with Kenjiro Urata, Isao Matsushita and Jo Kondo. She received the Masters degree on Intermedia Art by Kiyoshi Furukawa at the Tokyo University of Fine Arts and Music. the Darmstadt International Summer Course for NewMusic, the composition course at the Fondation Rayaumont and annual composition course at Ircam, Paris. In 2006-2010, she worked as resident artist at ZKM in Germany, where her portrait concert took place in March 2009.
the Irino Prize for Orchestra (1994 Japan), the Gaudeamus International Composers Award (1998 Holland), prize at the Hannover Biennale (1999 Germany), the young artist prize at the Nordrhein-Westfalen (2000 Germany), ACL Yoshiro Irino International Composition Prize (2000 Japan), Takefu composition prize (2004 Japan), Giga-Hertz-Award Encouragement Prize by Experimentalstudio SWR and ZKM (2012 Germany). Brian O'Reilly (video), Anne-Sarah Le Meur ( real time 3D image) and musicians of Japanese traditional music such as Mojibei Tokiwazu (shamisen), Miyata Mayuki (Sho), Nanae Yoshimura(Koto) and Ryoko Aoki (Noh Theater).